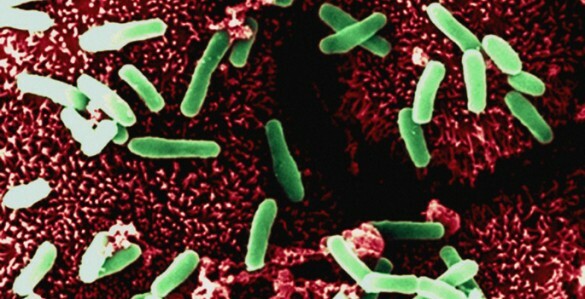 Clostridium difficile (“C. diff”) infection is a leading cause of hospital-associated diarrhea, and the frequency and severity of infections are on the rise. D. Borden Lacy, Ph.D., associate professor of Pathology, Microbiology and Immunology, and colleagues recently demonstrated that the C. difficile toxin, TcdB, induces rapid cell death of human colon cell lines and pig colonic tissue. The investigators now report that TcdB-induced cell death requires the assembly of a host epithelial enzyme complex (NOX) and the production of reactive oxygen species (ROS). Treatments that reduced expression of parts of the NOX complex, inhibited NOX component function, or “scavenged” ROS all protected colon cells against the C. difficile toxin. Likewise, treatment of colon explants with an inhibitor of the NOX enzyme core or with the antioxidant NAC protected against TcdB-induced tissue damage. The findings, reported in the Proceedings of the National Academy of Sciences, support the concept of using compounds to block ROS or reduce their generation as a strategy for protecting the colonic lining of patients with C. difficile infection. This research was supported by the National Institutes of Health (AI095755 and by the Burroughs Wellcome Fund through an Investigators in the Pathogenesis of Infectious Disease Fellowship.